A key psychological questionnaire for veterans about post-traumatic stress disorder was quietly rewritten late last year by Veterans Affairs Canada, CBC News has learned — a move experts say will make it harder for suffering veterans to qualify for disability benefits. The form, which is filled out by doctors treating veterans with PTSD, was revised in December by Veterans Affairs Canada. The changes came as a shock to many psychologists and advocates who help former soldiers, sailors and aircrew with mental illnesses navigate the complex benefits system. The Liberal government’s new pension-for-life option for veterans came into effect on Monday — but the net effect of the changes to the questionnaire could be that fewer people qualify for PTSD benefits, and for the lifetime pension offered to veterans suffering from PTSD. But Dr. Kris Rose, a clinical psychologist in Calgary, said the shorter form will end up thwarting efforts to get ex-soldiers the treatment they need. He said he has been “vibrating” with frustration since discovering the new form while treating a patient recently. He told CBC News the rewritten psychological/psychiatric form essentially has been stripped of almost all specific questions related to PTSD symptoms. The effect on veterans, Rose said, could be devastating. It could lead to longer waits for treatment as the department demands more information from people who are already fragile, he said. It could even lead to more soldiers killing themselves, he warned. Rose said the questions on the new form are so vague and generic, many doctors won’t be able to answer all of them — meaning they’ll be forced to leave a number of pages blank. 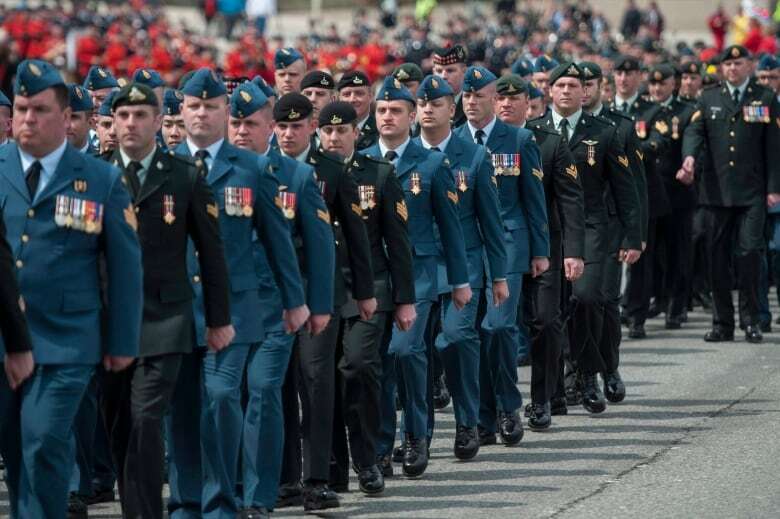 “There’s hardly anything on here that’s actually going to fit the presentation for what we see in terms of psychological injuries from military and RCMP personnel,” said Rose, who has treated soldiers and RCMP members with mental health issues for a dozen years. Officials at Veterans Affairs have revised the questionnaire on three other occasions — most recently in 2016 — since PTSD was recognized as a disability by the department in the 1990s. The goal of those revisions in the past has been to make the questionnaire more accurate and better able to distinguish between PTSD and other psychiatric ailments. Those revisions also made the job of processing claims swifter and less complicated. That changed in December, when the questionnaire — which used to be 16 pages in length — was cut back to eight pages. Specific questions about PTSD and references to its symptoms — such as nightmares, flashbacks and emotional ‘numbing’ — have been dropped. Rose said he’s never checked off any of those symptoms for his military patients — particularly the one about homicide attempts, as he said that’s not a common symptom of PTSD. Retired soldier Barry Westholm, who has helped injured members find the necessary forms and get them to doctors, said the vague, irrelevant questions on the revised form will give Veterans Affairs more latitude to question and deny claims. Veterans will have to fight harder to prove psychological injuries, he said. “It’s an evil thing to do,” said Westholm, a former master warrant officer and sergeant-major for the Joint Personnel Support Unit (JPSU) in Eastern Ontario. He resigned from the military to protest what he saw as the deterioration of the unit that was supposed to help guide injured soldiers back to their jobs or out of the military. He said the new form risks “piling on … pressures on somebody that’s fragile to begin with. The net effect will be to delay approval of benefits applications because the department won’t have enough information, he added. According to 2017-18 federal Public Accounts records, PTSD is ranked as the third most commonly cited cause of disability award payments issued by Veterans Affairs (tinnitus and hearing loss are No. 1 and No. 2, respectively). The federal government spends hundreds of millions of dollars on veterans’ PTSD claims, and 96 per cent of those claims are accepted on first application. As of the end of November, there were roughly 40,000 disability applications waiting to be processed by Veterans Affairs, according to a recent report by The Canadian Press. A spokesman for Veterans Minister Lawrence MacAulay insisted the changes made to the form were intended for the health and well-being of former soldiers and police officers. “The changes included modifying and streamlining the questionnaire to help reduce the size and to ease the paperwork burden on physicians and to improve turnaround times for completion,” said Alex Wellstead in an emailed response. He said the revised questionnaire was developed to complement that department’s disability table, which sets out criteria for assessing injuries. “The provided medical information represents only a part of the disability assessment and is utilized along with other pertinent submitted medical information,” said Wellstead.